Dubai-based Zajel, a leading courier and logistic services company, is showcasing its smart services, achievements and strategic plans at the ongoing Gitex Technology Week in Dubai, UAE. Gitex Technology Week, a major information and communications technology (ICT) trade fair, opened today (October 14) and will run until October 18, at the Dubai World Trade Centre. The 38th edition of the much-anticipated event is expected to draw more than 4,000 exhibitors from over 100 countries. Zajel is utilising the platform to showcase its products and smart services to the public during Gitex as part of the stand of its mother company, emaratech, which specialises in information technology and software, said a statement. This year’s participation assumes significance in view of the huge developments witnessed by Zajel in terms of its operations and quality of services, launch of the company’s five-year strategy and new organisational structure, it said. The strategy and organisational restructuring is aimed at launch a special platform for digital commerce and a portal for smart payment to match the dynamics of courier services, which are currently witnessing rapid transformations. “Our strategic plan includes organisation’s restructuring to cope with the huge transformation witnessed by the global courier and logistic services industry, and to meet its needs until the year 2023. The plan does also include brand development, focus on digital commerce and expansion to new global markets, in addition to launching a platform for digital commerce and a payment portal, and developing smarter services in the field,” he said. “The focus will now be on digital business, as this represents the current market trend. Therefore, we aim to get a good market share by being the first courier choice for our customers and a reliable strategic partner for all players in the digital business, driven, as we are, by future technology,” he added. 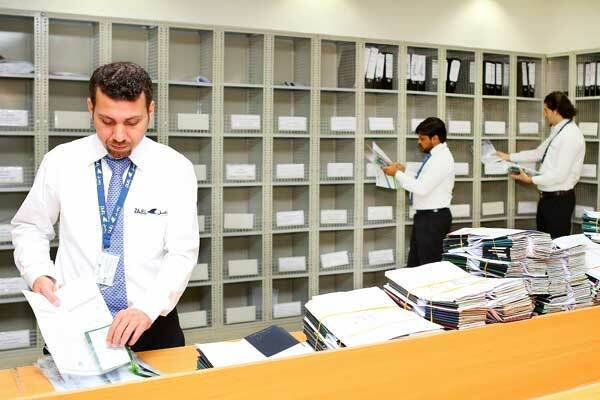 The UAE’s fastest growing courier company has achieved numerous partnerships and collaborations with government institutions, such as the cooperation with Dubai Police and the delivery of government transactions and medical examinations from Ontime centres to customers. With an eye on further expansion of the service delivery, the company has recently opened a centre in Abu Dhabi, and aims to open branches in the Northern Emirates through a business-based strategy. Through its digital platform, Zajel aims to encourage and support small and medium-sized businesses (SMEs) and entrepreneurs. It has also launched a new service for home delivery of medicines received from healthcare institutions to improve customer satisfaction. In order to deploy the new services and expansion plan, Zajel has developed a strategic plan to launch a new marketing campaign through the digital media and the company's smart website, social media and other smart websites.